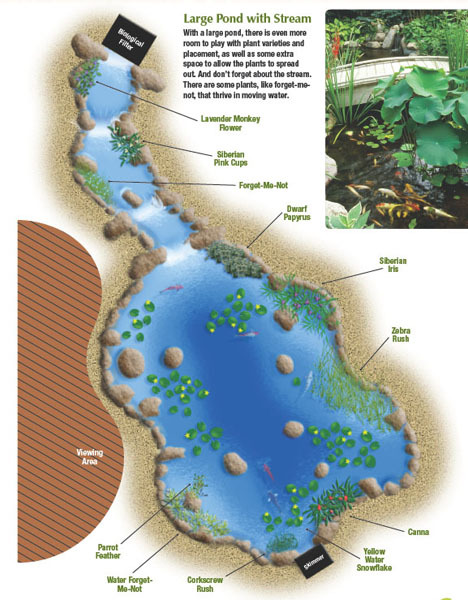 Do you have a pond but have no idea how or what to plant? Well you came to the right place. 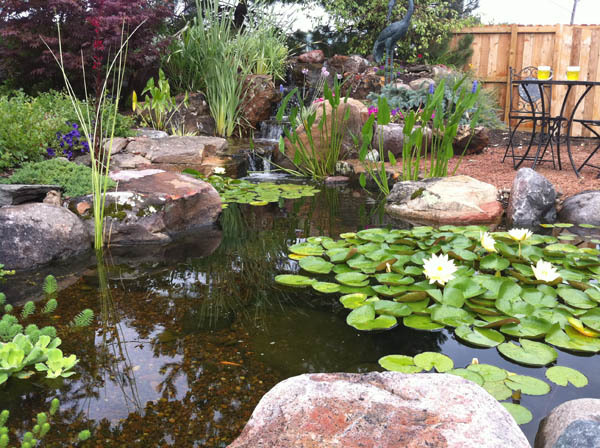 Featured below are 7 tips for planting your pond from our good friends at Aquascape. Enjoy! From colorful water lilies that dance on the pond’s surface to aquatic Forget-Me-Nots that hug the edges of your water garden, it’s the amazing pond plants that put the “garden” in “water garden.” You can apply many of the same tips and guidelines you use to create your terrestrial flower beds. 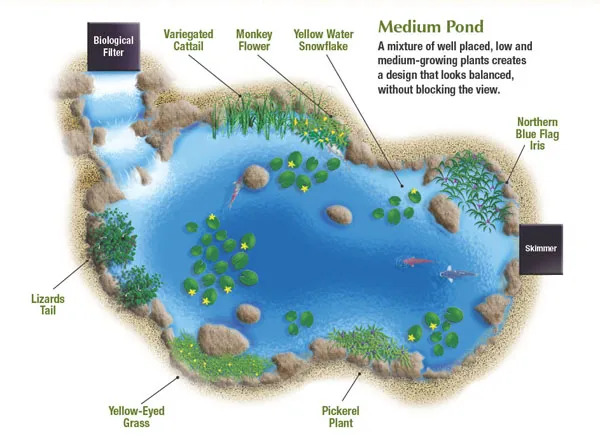 Things like color, height, and planting conditions are things you’ll want to consider when it comes to naturalizing your pond with plants.One: Create Interest with Variety. Random placement of plants with varying textures and colors will create more interest than using plants that have all the same growth habit or leaf shape. Two: Play with Colors. Choose colors you like best and consider the type of lighting your pond receives. Yellow, orange, and white help brighten shady areas, while cool blue and violet tone down the intensity of the sun’s rays. Three: Go Green. A soft, calming space is created by using different textures and shades of green foliage. The combination is effective on its own, but also looks great when accented only by white flowers. You can also play with color based on leaf selection alone, since you’ll find aquatic foliage in a range of colors such as red, purple, yellow, and several variegated combinations. Four: Know Your Plant Size. One of the biggest mistakes novice water gardeners make is failing to realize how big their pond plants might grow. Be sure to take height and width of the mature plant into consideration and allow enough space for future growth. Five: Short in Front, Tall in Back. This might seem like a no-brainer, but always put shorter plants in front of taller ones. 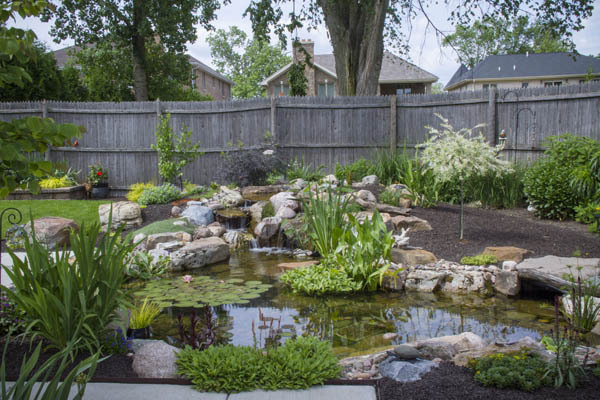 Most likely, you’ll spend most of your time viewing your water garden from a deck or patio, so keep that sight line in mind when planting your pond. Six: Group Plants Together. Interior decorators tell you to group like objects together when decorating your home, to create visual impact. Use this same principle when planting your pond. Plant a row of marsh marigolds along a stretch of the ponds edge, as opposed to dotting them all around the pond in single locations. Seven: Consider Each Plant’s Needs. 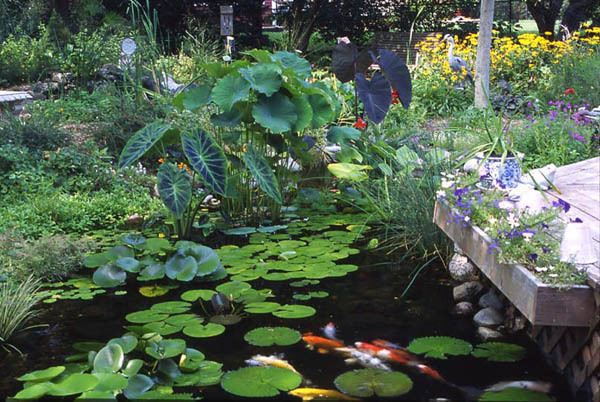 Be mindful of how much sun your aquatic plants require, along with their planting depth. If a plant requires full sun, that’s a minimum of 6 hours of unobstructed (ie not dappled shade) sun per day. If you’re not sure what your plant needs, ask the pro at your local garden center or search online for information. 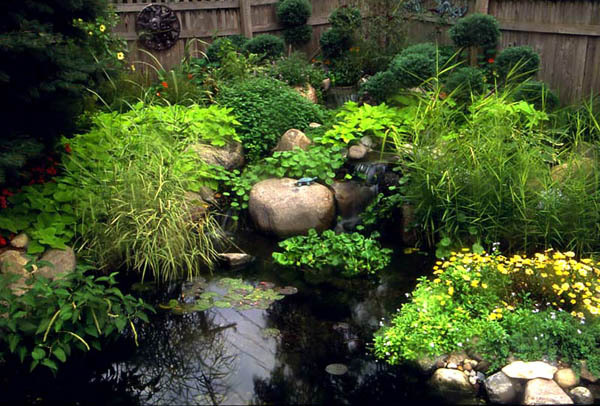 You’ll want to ensure an interesting mix of aquatic plant types for your water garden. 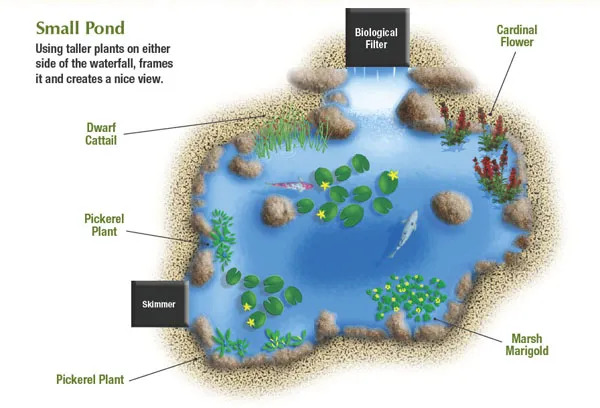 Plant a few marginal at the pond’s edge, include colorful water lilies or even a lotus, add floating plants like water lettuce, and include submerged plants to help add oxygen to your pond. Variety is the spice of gardening life, so don’t be afraid to experiment … or follow our handy planting guides below!